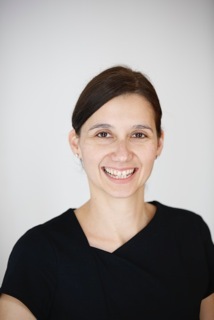 Dr Ana Ignjatovic Wilson is a Consultant Gastroenterologist and Specialist Endoscopist at the Wolfson Unit for Endoscopy at St Mark’s Hospital in North West London, a recognised world centre of excellence by the World Organisation of Digestive Endoscopy. Dr Wilson qualified from University of Oxford in 2002 and trained in gastroenterology and general internal medicine in Oxford Deanery. She undertook research in the use of colonoscopy in diagnosis and assessment of dysplasia under the supervision of Professor Brian Saunders that led to an MD thesis at the Imperial College, London, and has published widely on the subject. After completing her training, Dr Wilson specialised further in management of complex inflammatory bowel disease and endoscopy at University College Hospital, London. Dr Wilson has specialist experience of endoscopic procedures used to investigate the lower digestive system, such as colonoscopy and flexible sigmoidoscopy. She is able to perform these procedures in difficult cases that may require general anaesthetic. At St Mark’s Hospital, Dr Wilson is Clinical Lead responsible for caring for patients with digestive system problems following surgery, chemotherapy and/or radiotherapy for colorectal cancer. She also has a special interest in working with patients with the inflammatory bowel diseases ulcerative colitis and Crohn’s disease. Read more about Dr Wilson’s specialty services within gastroenterology. Dr Ana Wilson is active in research and training, and in promoting better communication between gastroenterologists through her professional memberships. Read more about Dr Wilson’s research interests and see her published work. Dr Wilson is a member of British Society of Gastroenterology and of the American Society of Gastrointestinal Endoscopy (ASGE).